The average price for this game in the past 6 months is $20.82. The game first became 50% off on Feb 16, 2017 at GamesPlanet. Lowest historic price was $9.78 on Mar 16, 2019 at Green Man Gaming. The most expensive edition of Stellaris, the Galaxy Edition, hits a new low at the WinGameStore by about $2 with a drop to $28. Discount valid this weekend only running now through Sunday, August 6. New low by about $7 today on the Stellaris: Galaxy Edition today in GamesPlanet's Summer Sale. It's a 24 hour flash deals, so you'll need to move quick to get this price. Price will show up as £34.44, but after currency conversion a new low in USD. Stellaris is out in a matter of hours. The highest end Galaxy Edition 25% off at GMG after coupon or now 26% off at DLGamer. The Galaxy Edition gets you the game, exclusive Paradox forum icons and avatars, an eBook Novel, 130-page colletor's edition book an additional Spider-themed alien race, and more. The average price for this game in the past 6 months is $8.74. The game first became 50% off on Mar 14, 2018 at Fanatical. Lowest historic price was $7.80 on May 17, 2018 at Green Man Gaming. Despite the fact games don't traiditionally release on a Thursday, Stellaris - Utopia is out now on PC. 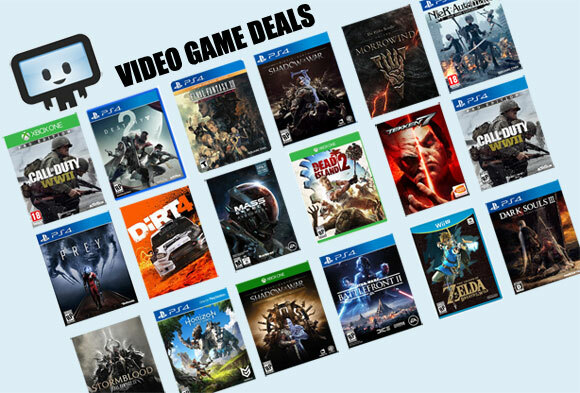 The best discount online is DLGamer with a 20% drop to $15.99. The average price for this game in the past 6 months is $12.34. The game first became 50% off on Nov 23, 2016 at Green Man Gaming. Lowest historic price was $7.83 on Mar 16, 2019 at Green Man Gaming. Paradox's Stellaris is down to $11.99 this weekend at the WinGameStore. Ties the historic low price point. Paradox's Stellaris space strategy title down to $12 at WinGameStore. New low by $1.61 and 70% off the usual $40. Deal's back during Encore Phase! Paradox's Stellaris is 64% off this week in the Bundle Stars 2017 Summer Sale. Historic low by $2.61 for the May 2016 released strategy titles that rarely breaks the $20 mark. Another title hitting historic low price - Stellaris is now a $17 item and a worthwhile pickup for grand strategy 4X fans. Steam key. This week Stellaris is getting a big discount at GMG to $21.79. This is the lowest price of 2017 and only a buck off its previous low last seen during the 2016 PC Gaming Winter Sales. The average price for this game in the past 6 months is $10.44. The game first became 50% off on Jan 25, 2019 at Green Man Gaming. Lowest historic price was $7.83 on Mar 17, 2019 at Green Man Gaming. Stellaris' latest DLC Apocalypse is now released and the best deal online is at Fanatical where you can stack a 15% off instant saving with their still-running 8% off Lunar New Year discount code. Steam key. New addition includes planet-killer weapon (ala Death Star), new capital ships, and a new group of mercenaries plus much more. The average price for this game in the past 6 months is $4.55. The game first became 50% off on Sep 22, 2017 at Green Man Gaming. Lowest historic price was $3.90 on May 17, 2018 at Green Man Gaming. Today the Stellaris: Leviathans Story Pack DLC is out with a 15% discount at GMG. Even more interesting is a 33% discount on the Stellaris base game to $26.99 - the lowest price in months. The average price for this game in the past 6 months is $16.98. The game first became 50% off on Jun 22, 2017 at Green Man Gaming. Lowest historic price was $10.25 on Jan 25, 2019 at Green Man Gaming. May 9th marks the release of Paradox's new strategy title Stellaris. GMG has their 20% off coupon code working in full swing, dropping the price on this more expensive Nova Edition (includes the Original Soundtrack and an exclusive alien race DLC). For some reason GMG has the wrong price on the Standard Edition ($45 instead of the correct $40 MSRP) but the more expensive Nova and Galactic Editions are correctly listed. The average price for this game since released is $4.69. The game first became 50% off on Sep 22, 2017 at Green Man Gaming. Lowest historic price was $3.12 on May 17, 2018 at Green Man Gaming.